Whale, whale, whale, what do we have here? Sorry, had to do that. With that out of the way, we can get back to some of the awesome products we have to offer you. 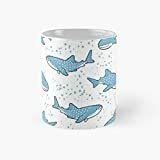 We love whales, if you haven’t figured it out yet, and if you happen to be a kindred spirit, we know you’ll absolutely love our collection of tail-flipping gorgeous mugs. 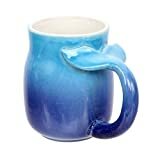 DEI Ceramic Whale Tail Mug, Blue, 16 oz. Scroll through our featured selection and you’ll no doubt spot some pieces that will have you in a blubber of excitement! We’ve got them all lined up for you, from stoneware collectibles, funny mugs ideal for gifting, to oversize coffee mugs for those days when you need a jumpstart to get rolling. 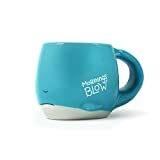 Add a little fun and color to those bleary mornings with these light-hearted mugs to start your day off on the right flipper. 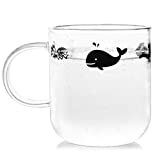 Above you'll find adorable whale mugs that are perfect for your favorite beverages and will bring a smile to your face. Whether you need a mug to add to your colorful collection or you want a cute gift, you are sure to find something perfect at our store. 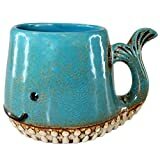 Browse now for your next whale mug!